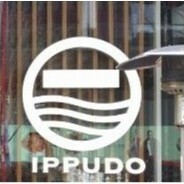 Ippudo Sydney joined our Mission to help provide access to “Clean Water for All by 2030”. This Mission was initiated by the United Nations. A big thank you to Ippudo Sydney’s team and customers for joining this extremely important mission on 23 March 2018. Since its founding, IPPUDO has been focussing on creating a new ramen culture in Japan. - where people can enjoy, understand and appreciate the Japanese food and culture. Continuing to thrill to the world through Japanese cuisine, IPPUDO seeks to bring smiles for the generations to come.